The history of the Robroy industries dates back to 1905, although the firm has operated under a number of titles. It began as Enameled Metals Co, located in Etna, and later the name was changed to Pittsburgh Standard Conduit. In 1957, the company purchased 16 acres of land in Verona, planned as a site for a new plant and office building. The plant was in partial operation in late 1958 and in full operation in May of 1959, at which time the Etna plant was closed. In ensuing years, the firm purchased the Venango Plastics Company in Franklin; the Warren Corp. in Clarion ; and the Seneca Tool and Dye Co. In the meantime due to severe labor problems, the Verona plant had been closed. It was decided to close the Clarion plant and move the entire operation to Verona. 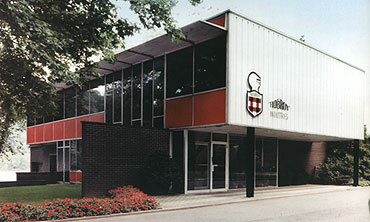 On July 1, 1967 the company adopted the new name Robroy,Industries, incompassing all locations. Up until that time, there were four separate companies. Over the years the company has not only demonstrated its ability to keep abreast of industrial developments, but also has pioneered in many improvements. It has also branched out into many diversified operations. Robroy Industries looks forward to continued growth.